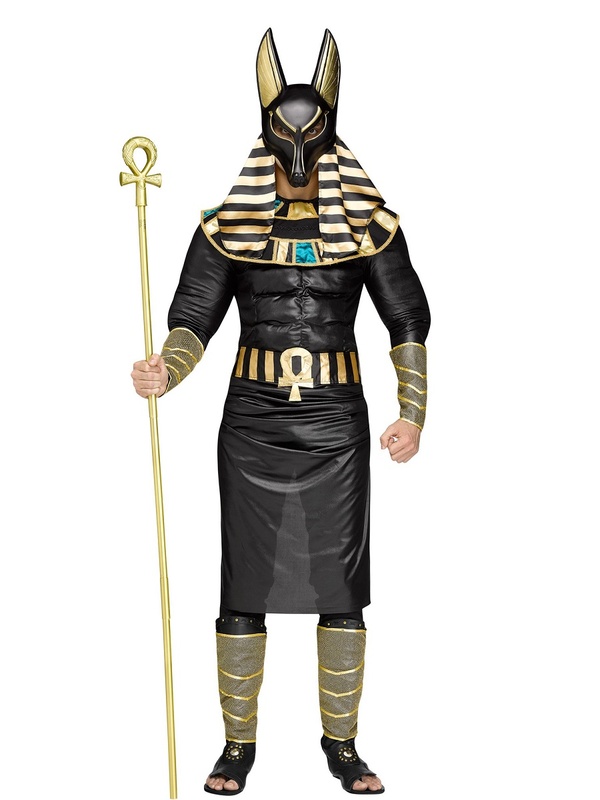 Rule Ancient Egypt this Halloween in our Adult Deluxe Anubis Costume! 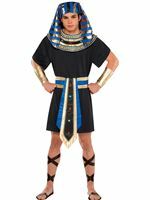 This Historical Costume comes with the black padded muscle chest top along with the gold belt with attached drape skirt and egyptian collar. 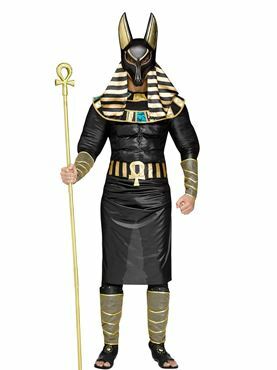 Our egyptian outfit also includes the matching gold leg and arm wraps and a striped black and gold headdress. Completing the look is our character mask with pointed ears and cut out oval eyes. One Size 38" - 42'' 32" - 36" 26"